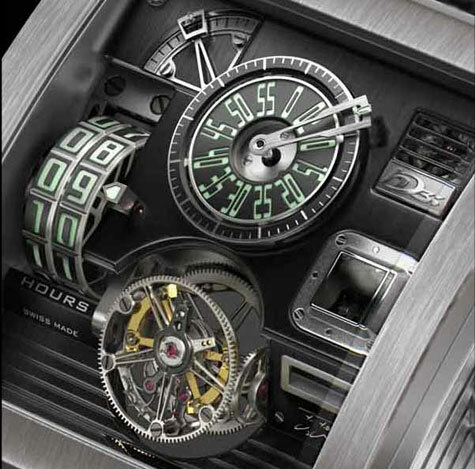 The hours are determined from the rotating wheel cylinders on the left, the minutes on a disc like a ship’s Chadburn Telegraph, a sextant style power reserve indicator, porthole loupe date window, and highlighted by the tilted bi-axial tourbillon. 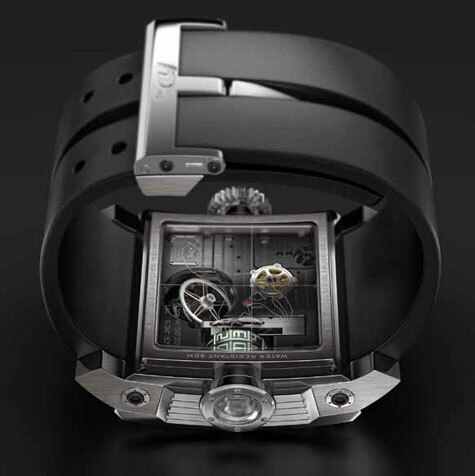 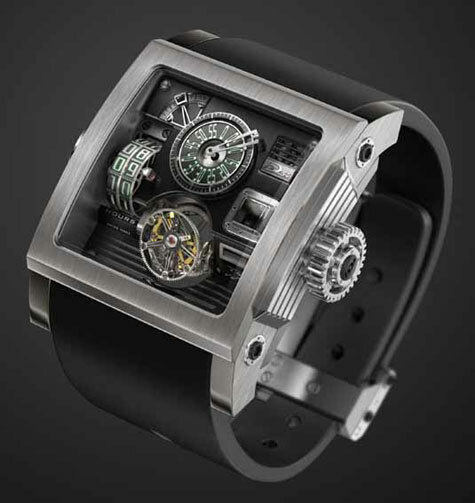 All the watch functions can be seen through its front and rear sapphire glass panels, side-viewing porthole, and the back plate has an etched map with its coordinates engraved on it. 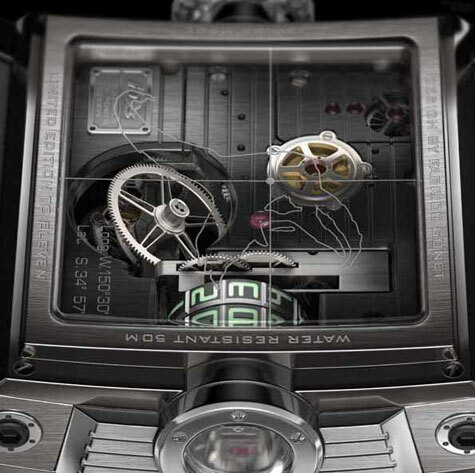 The case is titanium and platinum.